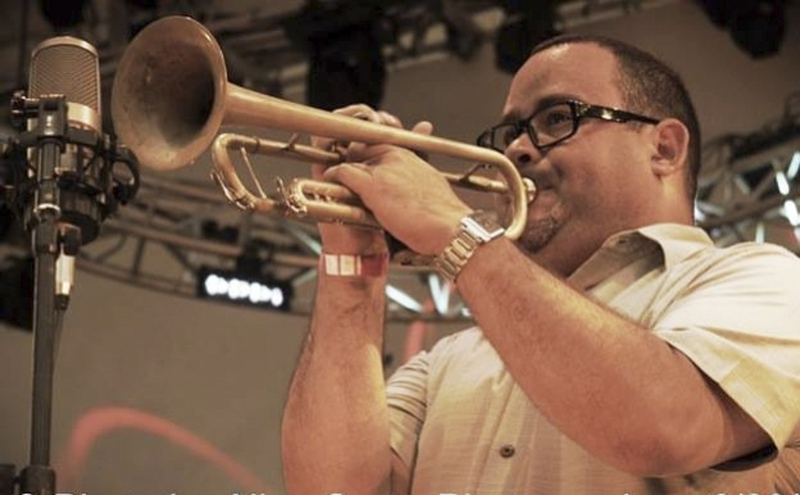 Manuel "Maneco" Ruiz is a trumpet player from Ponce PR. He has performed or recorded with artists such as Tito Nieves, Gilberto Santa Rosa, Sonora Ponceña, Eddie Palmieri, Luis Enrique, Ruben Blades, Tony Vega, Victor Mauelle, Tito Rojas, The Blue Man Group, Eva Ayllon, 8 y Mas, Jennifer Lopez, Jerry Rivera, Memphis (Broadway Show), In the Heights (Off- Broadway Show), Celia (Off-Broadway Show), The Mambo Legends, Arturo O’Farrill Afro Latin Jazz Orchestra, Gloria Estefan, The Jazz at Lincoln Center Orchestra, Boston Brass, Spanish Harlem Orchestra, Puerto Rico Symphony Orchestra, La India and many others. Mr. Ruiz holds a Bachelors Degree from the Puerto Rico Conservatory, Masters Degree and Artist Diploma from Rutgers University where he studied with the legendary William B. Fielder.